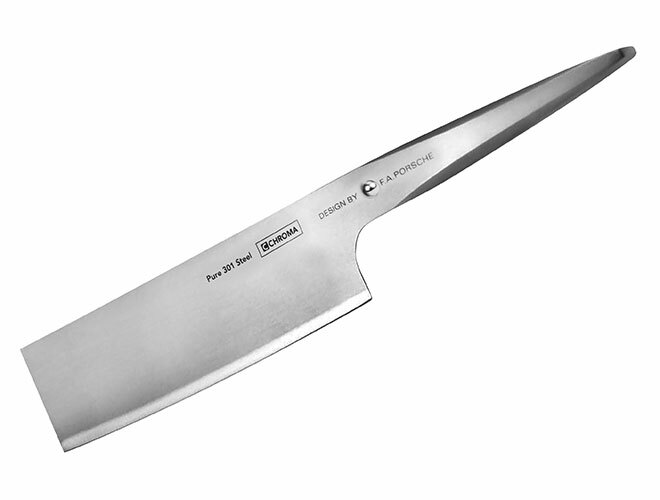 The Chroma Nakiri Knife combines the features of a chef's knife with the versatility of a vegetable cleaver, ideal to use for vegetables. The handle of the Type 301 by F.A. Porsche is constructed of 18/10 stainless steel, and the blade is made of high-quality Japanese 301 steel. The blade of each knife is carefully sharpened by the hand of a master. Whether your interests are primarily in hobby or professional cooking, we have the right knife to suit your needs. 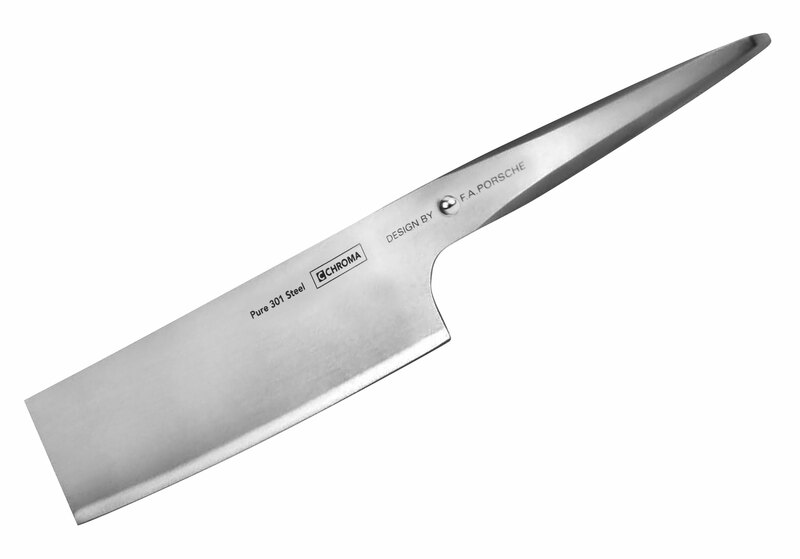 A number of well-known professional gourmet chefs use Chroma knives in their kitchens. Take the time to look through our collections on line, and we are confident you will find our knives a welcome addition to your kitchen as well. Our knives are manufactured in the best factories and are made of the finest and strongest modern high-grade steel. Knives by Chroma Cutlery are extremely sharp and hold their edge for a very long time. This means you can spend more time enjoying your food and less time sharpening a dull knife. Chroma is famous in the world of professional chefs for their outstanding quality. Each knife line was carefully manufactured by experienced craftsmen or factories, designed by the worlds best designers Conran, Porsche or others. Chroma guarantees any stainless steel product that it sells to be free from defect in material, construction or workmanship for the life of the product under normal use and following the care instructions.